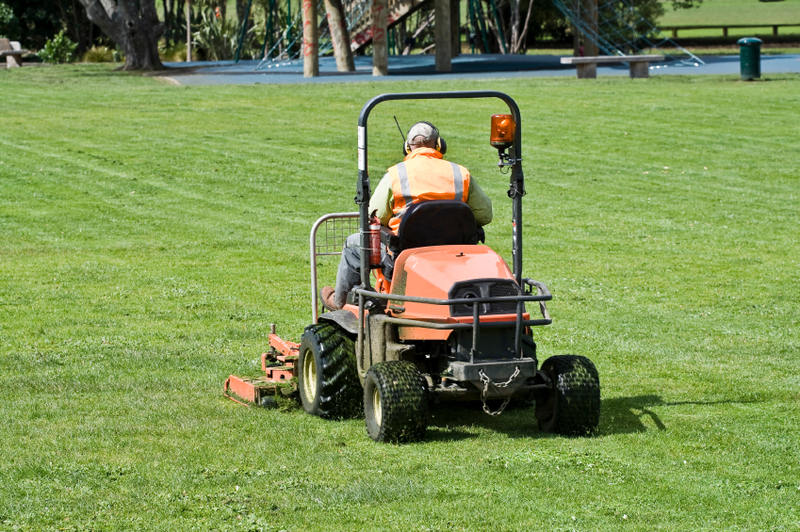 Landscaping and turf management companies typically have an extensive amount of stops each day to provide service to their entire customer base. As a landscaping business grows and expands, there may be a need for numerous trucks to cover all the landscaping accounts, requiring a fleet of vehicles. While this helps increase revenue for the turf management or landscaping business, it also tends to accelerate the cost basis of the business. Along with greater costs related to fuel, maintenance, and repairs that come from being in an industry that does a significant amount of driving and therefore consumes a lot of fuel, it is essential that these vehicles be at their peak performance. Then, there is the fact that the employees driving these vehicles need to account for their mileage, fuel, and any vehicle maintenance they get for tax purposes and for tracking how the vehicles are performing. With limited time and the need to focus on the core business, including many other daily issues that arise, keeping manual records may become inefficient and ineffective. Information may not be logged and too much effort is focused on record keeping rather than marketing, strategy, and service. Many drivers may forget to track that information for you and they may not be attuned to the importance of doing so since it is not their business. Reliability is the key. These vehicles must get to the service accounts. Without these vehicles, there is no way to get to these landscaping accounts, which means unhappy customers and lost revenue. If a vehicle breaks down, the cost is more than just the expense of fixing the truck. It also involves repairing the trust relationship with that service account that expected their landscaping to be cared for that week. In order to keep a vehicle in the fleet running at all times, there are warranty and recall issues that must be addressed. The problem is that, with so much to do to keep a landscaping business running, these are often forgotten about. The result can be costly, especially if the vehicle breaks down or a warranty expires. Even worse is the fact that not addressing critical maintenance issues can put the driver and others at risk. No company wants to face that type of liability. Lastly, it is important to ensure that the significant investment made in purchasing each vehicle pays off with reliability, safety, and long-term value for eventual re-sale opportunities. However, if not maintained, those vehicles will not be reliable, safe, or have retained their value. Thatâ€™s the bad news. The good news is that new technology is changing all that and helping landscaping and turf management businesses of all sizes efficiently and effectively manage their fleet. Thanks to cloud-based maintenance management for fleet vehicles, there are opportunities to solve these issues and get back to focusing on the core business. Cloud computing is a relatively new concept that provides many advantages because of how it is structured. Rather than serving as an actual place to store information and data, it is more like a way to have it follow you wherever you go on any device, including computers, laptops, and mobile devices. This means it is ready when you need it and always up to date. Integrity: In a cloud-based environment, data is not lost because of human error, computer crashes, or power failure. It is continually backed up and protected so it never has to be recreated. Additionally, security is very good in cloud-based applications so theft or hacking is not as great of a risk as other types of software. Scalability: A cloud-based system grows and changes with your business rather than hitting a limit as to what it can do should your business expand quickly and regularly. This scalability provides a way to stay with the same system rather than having to look to invest in a new solution. Tracking: Each vehicle in your landscaping fleet can be tracked by using a GPS chip. This allows you to know where each vehicle is and for how long as well as where they are going. Additionally, this can help drivers with finding the best directions or potentially rerouting in order to stay on schedule. Integration: A cloud-based system integrates with other software and processes within your business rather than requiring that everything change. This saves a business by removing downtime from the equation of changing over to this type of technology for data and information related to your turf management business. Analysis: Because data is current and complete, this technology makes it easier to create different reports and dissect data in different ways to better understand how the costs are impacting your business as well as ensure you are aware of all the potential vehicle maintenance needs at all times for more effective maintenance cycles. With these factors as your framework, now is the time to explore how a cloud-based vehicle maintenance management solution can resolve critical cost and service issues in your landscaping or turf management business.